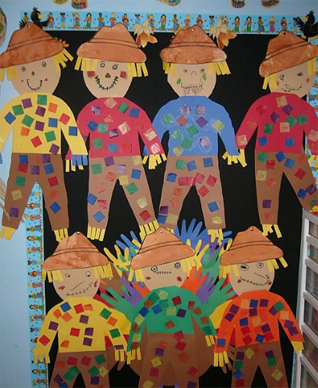 Let the children decorate their own scarecrow. cut out to use for the scarecrows hair. Fall Is Something to Crow About! of shredded tissue-paper straw to complete the harvest scene. "Good Books Are Worth Crowing About!" 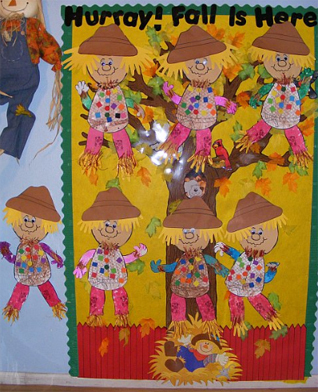 noodles, anything that can be used to decorate the scarecrow. them as a bulletin board border for a display of completed work.